Marq-Tran drops off and picks up riders at the Main Entrance on McClellan Street 20 minutes after the hour and 10 minutes before the hour. Call (906)225-1112 for Marq-Tran's local door to door service. FREE valet parking is available, and is located at the main entrance on McClellan Ave. Most appointments are made between the hours of 8:00 AM and 4:30 PM. There are some exceptions. The building opens at 7:00 AM and closes at 8:00 PM. If you have a question concerning hours, please call (906)225-3905 or 1-800-628-3333. 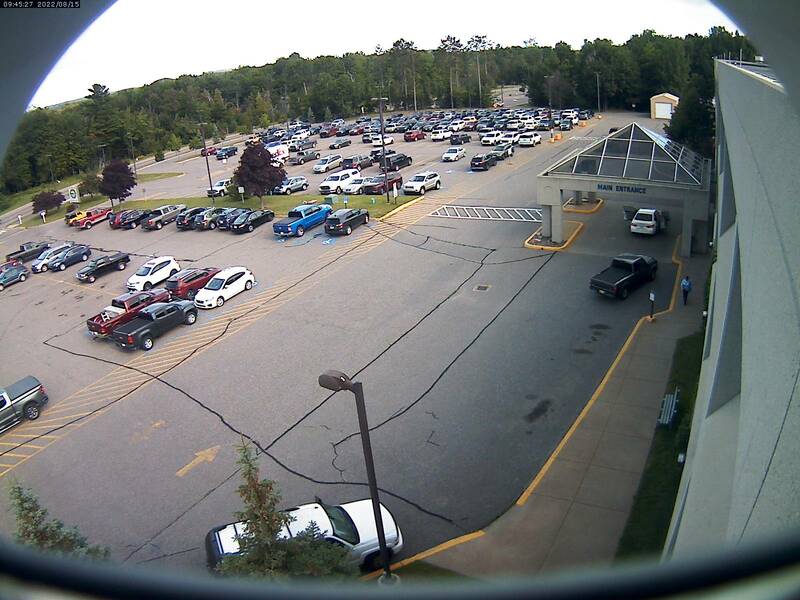 Our webcam image updates every five minutes. Click the image above to open the webcam in a separate browser tab or window.